On the first day, in the framework of the conference, a workshop was led by Lorenzo Pastrana on FODIAC project. 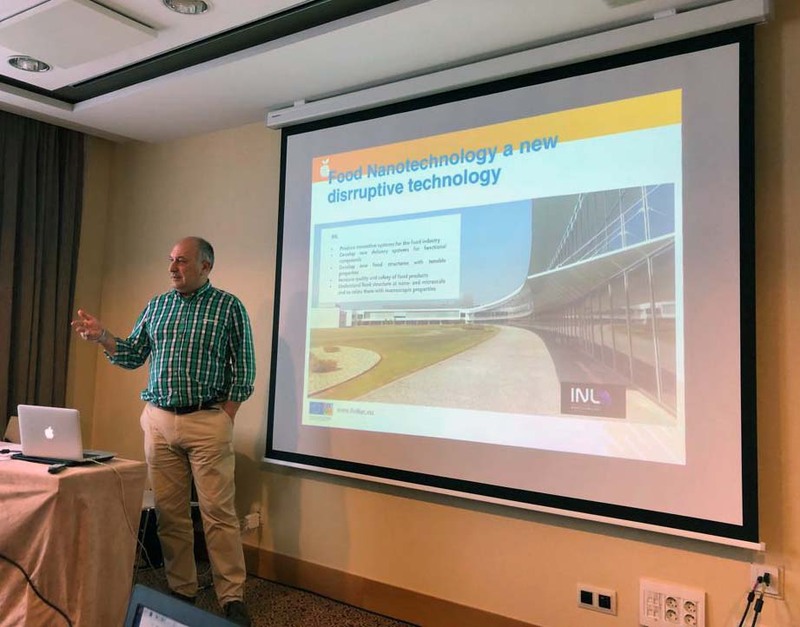 The project was brought to the stage as a case study and example of nanotechnology developments in the field of Food. Specifically, Lorenzo will present how applied nanotechnology with complementary disciplines can be used to extract functional bioactive molecules to be integrated into a dietary solution to tackle diabetes and the associated impairment of the cognitive function among the elderly.